When I began teaching sculpture at BCB in the spring semester of 2015, The Factory was an incredibly raw, open space, with a vibe perhaps closer to a squat’s than to that of a private college arts facility. There was random graffiti covering the walls, the bathrooms had no mirrors or even paper towel dispensers, and bright daylight shone in hard during our slide presentations, obscuring those colors and forms that are essential for understanding art. The “AV Room” looked more like the leavings of a few disgruntled Media Markt employees who just learned they were fired. But, nevertheless, I remember the excitement of working with my first group of ambitious, imaginative students towards the end-of-semester exhibition, which was known as “Open Studios” – a title simply inherited from previous semesters. At that time, my class of eleven students and I had the whole Factory to ourselves; the one video class taught this same semester had their own event on a separate evening in the Lecture Hall. In those days, it felt like there was just too much space to fill. 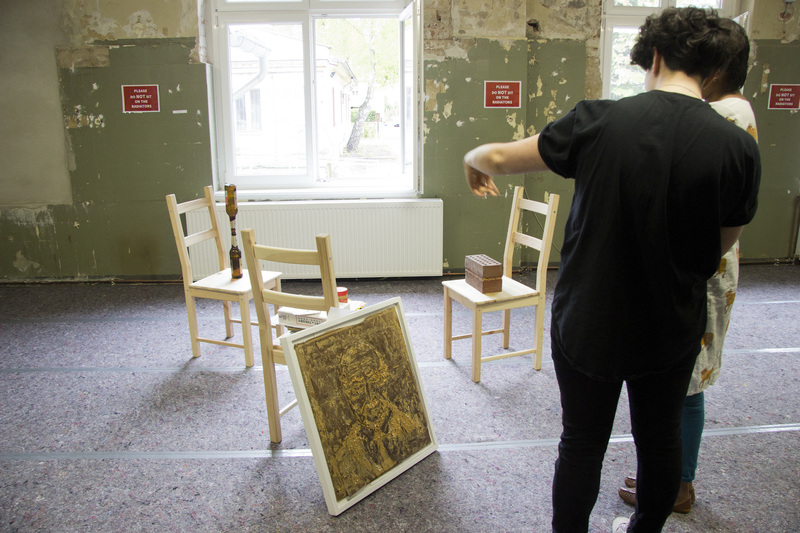 It was a transitional time for Bard College Berlin, but, to everyone’s credit, though things were raw, we put to good use what we were given. Spring forward to Spring 2016: The number of arts classes offered at BCB began to increase, and the idea of all of us taking over the whole building seemed equally as exciting as before. The darkroom was just finished for BCB’s new photo course (barely in time for Open Studios), and an “Advanced Studio” course that let students work with any media they chose was just being introduced. And, for the event, we should have many cases of beer! Why not? Make it a larger celebration, a chance to release the end-of-semester-pressure we all felt we deserved. And the crowds certainly came, with Open Studios becoming the single most attended community event, attracting many family members, friends, and neighbors. Spring forward to Spring 2017: So much was changing at The Factory, with a diversity of new arts courses being added that were certainly welcomed by all. The hybrid of a theory-practicing arts course model started to develop (some would say “Readers? Really?”). We slowly started getting some better equipment and developed a better system for organizing it all. Improvements continue to happen to keep up with this growing program. Proper curtains started getting installed, chip access for those double-doors was set up, and purchases of better tools for the workshop and especially the AV room (which had finally joined the library check-out system of KOHA) were made. We were very fortunate to bring on board our wonderful tech team of Janina Schabig and Joon Park (plus the student workers, of course). And the Open Studios went far beyond the studio format, with bathrooms becoming as legit an exhibition venue as the theater space. But now, after springing past Spring 2018, I have been considering this most recent constellation of Open Studios and can’t help but reflect on what is working and what isn’t. After doing a bit of homework, I actually found on this very blog a wonderful article and video on the opening of The Factory many years ago: it has always had this powerful communal, creative energy. We would all hate to see that change. However, what occurred to me this semester is that, even though we have four whole hours committed to the event, there is just no way one can properly experience all the productions the students offer at the event without being utterly antisocial. And even the most anti-social visitor would still be left without context or opportunity to remember who made what and from which class (“and where was that piece again?”). This semester boasted the production of countless hours of video material, the construction of three (yes, three) separate Kinos with multiple films projected in each one, plus video installations in Studio 3, Studio 4, Studio 6, the upstairs bathroom and the downstairs kitchen. There was also a hair-cutting performance, food art, phone-swapping art, printed-email art, flyer art, drawings, installations, photography (from two classes), and two computers set up to present two PDFs per student (with probably at least 200 images to scroll through). All constructed for a one night event. And all of this did not even include the work of my own class! Joon and Janina always agree to offer many extra work hours those days leading up to the event, and yet all the emailing, organizing, late-nights, floor-plan sketches, and coffee, coffee, coffee cannot stop the last-minute explosion of energy. It’s exhausting and exhilarating; you get a bit of that same feeling as after climbing to the top of a mountain and all of a sudden you realize that you didn’t have so much of that grey hair (or, in my case, salt and pepper beard) when you began the ascent. 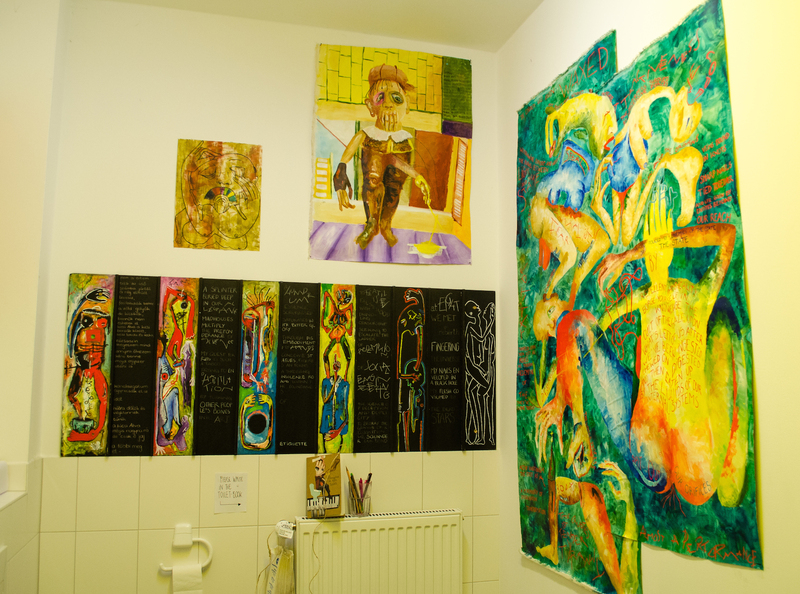 So, I wonder, does Open Studios still serve the best interest for the community in this current format? How can we have a dialogue, a concentrated look at student work, that gives ample space to really see and experience the art? And what about the time to speak with the students, and the breathing space for the work that does not depend on some potentially manic “salon-style” installation? Is there a way we can move past the dependency and convenience of one event (and, of course, the convenience of “the biggest party on campus”), while at the same time knowing there is no reason to worry if that last extension cord is being used? 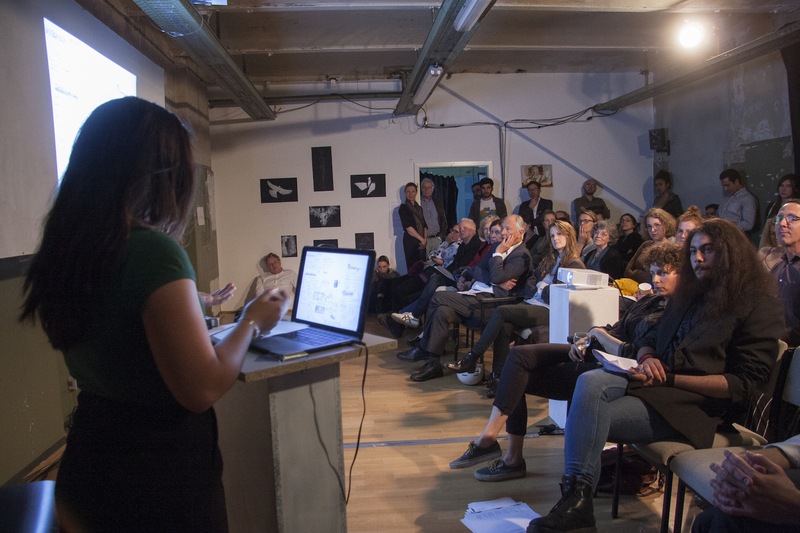 The week after Open Studios, The Factory hosted “I am the Ghost” — an exhibition, food event, and panel discussion connected to the migration / research-creation class that I jointly taught with Marion Detjen. It was very well-attended. Many of us found it an exciting new experience — we had so much more space to play with, and a lot more tech equipment available as we did not have to share it with other courses. And, of course, one cannot underestimate the power of “Pankumenta” this past semester, an incredibly ambitious student-organized arts event led by Veronika Risnovska as a civic engagement supported project (thanks to Paul Festa for the title :-)). This event in many ways served the purpose of releasing an explosion of creative energy independent of any specific arts class. It was very different in that respect, and may be a model to consider for the future. But things can be off-campus as well, can’t they? Pankumenta expanded in this direction, as did some other courses. 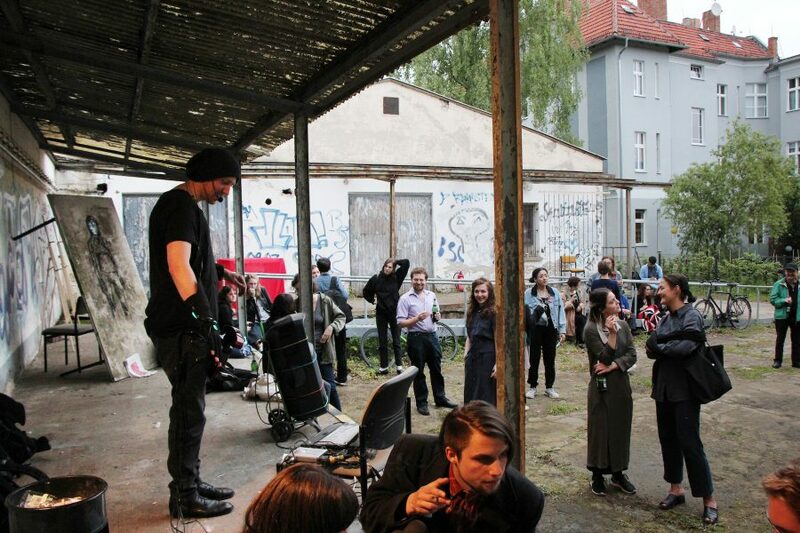 Berlin’s “off-space” scene is certainly one of the best in the world, and BCB is lucky to be in a position to take advantage of it. 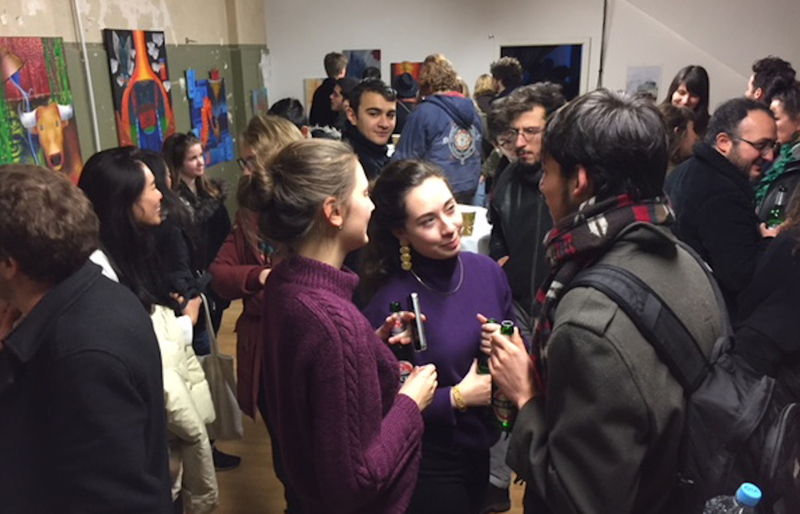 We saw April Gertler’s advanced photography class as well as Dorothea von Hantelmann’s curatorial class opt away from The Factory altogether and still draw in an impressive crowd, not to mention the student presentations. This strategy of moving off-campus certainly warrants success, creating the opportunity to attract a larger audience from outside of Niederschönhausen. But BCB, what do you think? 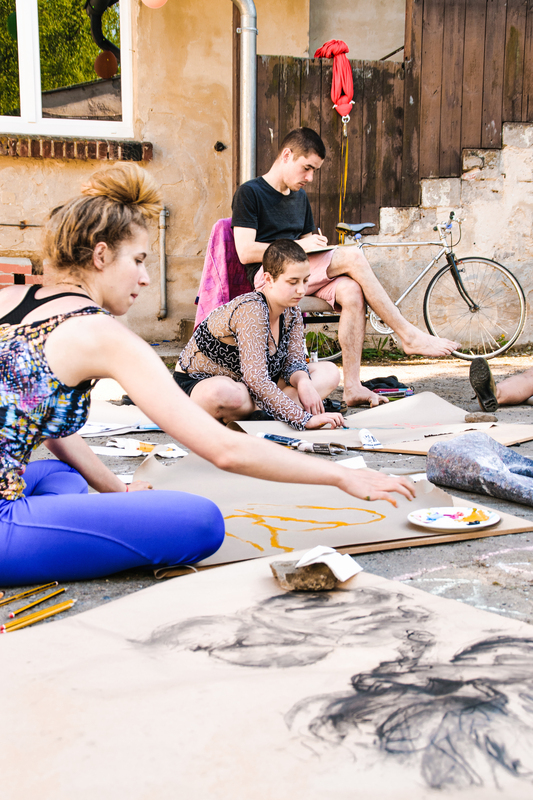 Could we make end of semester arts classes work as individual efforts, or maybe pair them? Or should we organize these exhibitions around a concentrated theme, maybe limiting the works shown and bringing focus to the student presentations? What about leaning more towards off-campus exhibitions? All of this has its pros and cons, of course, but I would personally welcome any feedback, be this via a direct email – (reach me at j.vonbergen@berlin.bard.edu) or gladly in person. At the end of the day, these opportunities to present your artworks are happening for you.